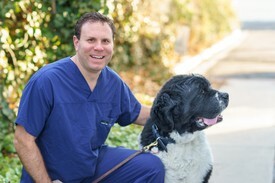 Dr. Cirelli was raised in northern Nevada, having lived here since 1979. He attended Mamie Towles and Jessie Beck Elementary schools, Swope Middle School, Reno High School, the University of Nevada, Reno, and Oregon Health and Science University (OHSU). While at the University of Nevada, he majored in biochemistry, history, and Spanish and he is bilingual in English and Spanish. Community service has always been important to him and while at UNR, he volunteered for several years with Nevada Hispanic Services. Returning to Nevada after dental school, he worked with low income families and their children at the HAWC Community Dental Clinic before entering private practice. Community service is still important to him and he volunteers with the Adopt a Vet Program in northern Nevada. In his free time, Dr. Cirelli enjoys running, skiing, target shooting, and home improvement projects.